Rusty Firmin is a legendary figure for a generation of soldiers as well as for British Military History buffs. As a member of B Squadron, 22 SAS Regiment, Rusty led one of the two assault teams which stormed the Iranian Embassy in London in May 1980. Two years later he was a key figure in the planned SAS attack on mainland Argentina, designed to destroy the deadly Exocet missiles which were based there, ground the Super Etendard aircraft which launched them and assassinate the pilots who flew them. As well as participating in these two dramatic events, Rusty spent more than 15 years in ‘The Regiment’, as SAS soldiers refer to it, serving throughout the world on operations, training missions and exercises. This is his story. The first full insider account of Operation MIKADO, the hugely controversial planned attack by the SAS on the Argentine mainland during the Falklands War. Rusty and many within the SAS were convinced it would have been a suicide mission, staged by Brigadier (later General) Sir Peter de la Billiere for his own personal glory. 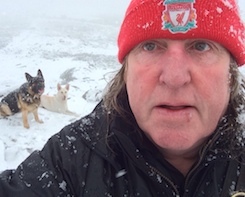 Astonishingly it was only called off when an SAS reconnaissance team went missing in Chile after being landed in Argentinean Tierra del Fuego. This is very likely to attract a serial sale and news coverage. A full participant’s account of the assault on the Iranian Embassy in 1980. As a team leader responsible for developing a significant part of the attack plan, Rusty has an almost unique insight into the events that led to the dramatic conclusion of the six day siege. This again is a good candidate for serial sale. The Secret War in Northern Ireland. Rusty served numerous tours in Northern Ireland throughout the 1970s and 1980s when the covert war between the SAS and IRA was at its height. Now that the dust has largely settled over the Northern Ireland conflict it is possible to give a much better insight into the Regiment’s role in the Province. Training Missions. Part of the SAS role is to provide specialist training for many different countries around the world as, in effect, a secret element for British overseas aid. Rusty took part in several such missions, often in surprising locations, and can offer a fascinating insight into the SAS role in British diplomacy. The bizarre influence of Freemasonry within the SAS. Oddly enough, the regular and Territorial SAS Regiments have Freemasons lodges within them and these have been a cause of serious controversy. In the 1980s, there was a near mutiny in one of the TA SAS Regiments after a promotion board awarded promotions only to Masons, some of whom had not participated in training for some time. Rusty will be the first author to expose this situation. The Good, the Bad and the Ugly. 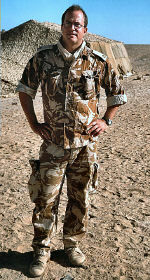 15 years is an unusually long time to serve in the SAS and over his time, Rusty worked with and got to know most of the leading figures within the Regiment. The book will give a fascinating insight into characters like ‘Lofty’ Wiseman, Andy McNab, Tim Collins and many more. "...the unforgettable chronicle of Rusty’s Combat experiences, transporting the reader back to the cutting edge of the SAS’s deadly covert missions during the crises of the 1980s and 1990s. 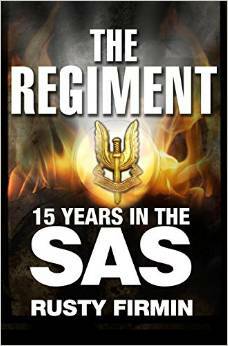 Even more fascinating is his intimate portrayal of what the service was actually like to live and work in…Rusty draws on a unique breadth of experience to delve into the hidden world of the SAS as an institution."